Let me start by saying that the Mad Catz Cyborg R.A.T 9 is one beautiful gaming peripheral. The asymmetry, the skeletal frame, the metallic overtones (aluminium chassis anyone?). 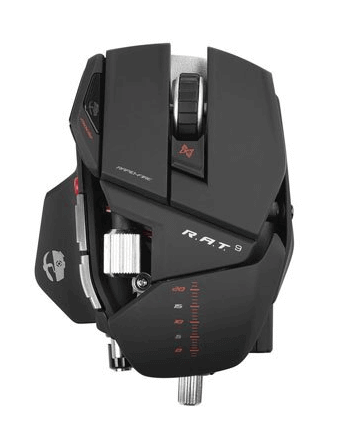 This is the Optimus Prime of gaming mice, and I’m not just saying that because it looks like a Transformer. It’s been a few years now since this bad boy hit the marker, but its features and sheer cool factor stand up to even the most cutting edge of today’s competition. In my opinion, The Mad Catz Cyborg R.A.T 9 was easily the best wireless gaming mouse available at the time of its release. It was the most customizable (you can adjust pretty much everything on this thing) and precise mouse out there on the gaming market, and I might argue that the same holds true today. I remember that when I first got my hands on this thing I was trying to figure out which hand it was meant to be used with. Turns out it doesn’t really matter because you can remove and replace nearly every panel to morph it into whatever shape and texture (rubberized and soft grip plates available) you find most ergonomic (tools provided). The weighting is adjusted via unscrewing a locking rod that pops in as many weights as you like. Another thing I really like about this mouse is it’s hot-swappable battery pack (one spare included), so you never need to go wired to charge. The 2.4GHz wireless transmitter ensures zero latency, and doubles as a charging bay for your unused battery. Pretty cool. As far as software customization goes, the Mad Catz Cyborg R.A.T 9 can store unlimited profiles, each with 3 modes defined (physically toggled via mouse button). Button functions can be set and named easily. DPI caps out at around 5600, so you’ve got enough crazy sensitivity for the time dependent gaming situation. It’s also got a “precision mode”, activated by a single side button, to take aim while in an FPS game that allows on-the-fly DPI drop to a pre-set level for that guaranteed headshot. 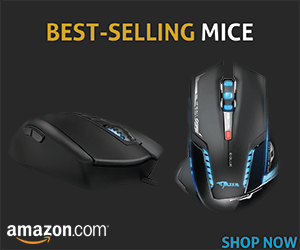 Now let’s talk about the performance of this mouse, and if you’re really getting your money’s worth. Now, I do see it as a high-end option, not just because of the price, but the feature set as well, so I was expecting a lot from it when it came to my day-to-day tasks (gaming, video editing, Photoshop). The RAT 9 does deliver in most aspects. It felt really sleek in my hands as I took out waves of noobs when playing on my favourite FPS’ amateur lobby. Tactile feedback was fantastic, so it’s right up there with more household names like those in the Logitech wireless mice and Razer wireless mice series. I fiddled with the weighting a couple times before settling on a combination that felt just right. At some point, however it felt like there was a little too much for my tinkering mind to consider. Trying to decide on everything from macro binding options, to side plate angles (yes, you can adjust the angle of protrusion) made me giddy with excitement. 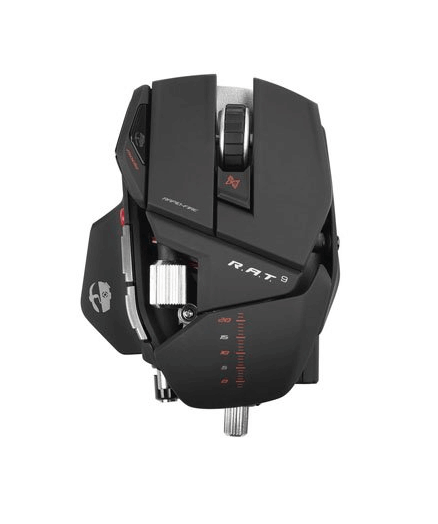 Ultimately, Mad Catz Cyborg R.A.T 9 is an absolute beast of a rodent with some truly unique selling points. It looks cool, it’s well made, and it lacks for nothing, performance or otherwise. Oh, and have I mentioned how cool it looks?